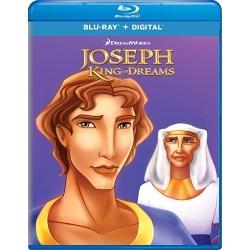 From the filmmakers who brought you the Academy Award-winning box office hit, The Prince of Egypt, comes the spectacular animated epic, Joseph: King of Dreams. One of the most critically acclaimed films upon its triumphant release, this inspiring musical adventure retells the classic story of a boy (voiced by Ben Affleck) with an extraordinary gift of seeing the future through his dreams. Winner of the Film Advisory Board Award of Excellence, Joseph: King of Dreams is a timeless treasure for every generation, with five memorable songs, sparkling animation and "storytelling at its very best" (Alice O'Neill, Los Angeles Feature Syndicate).